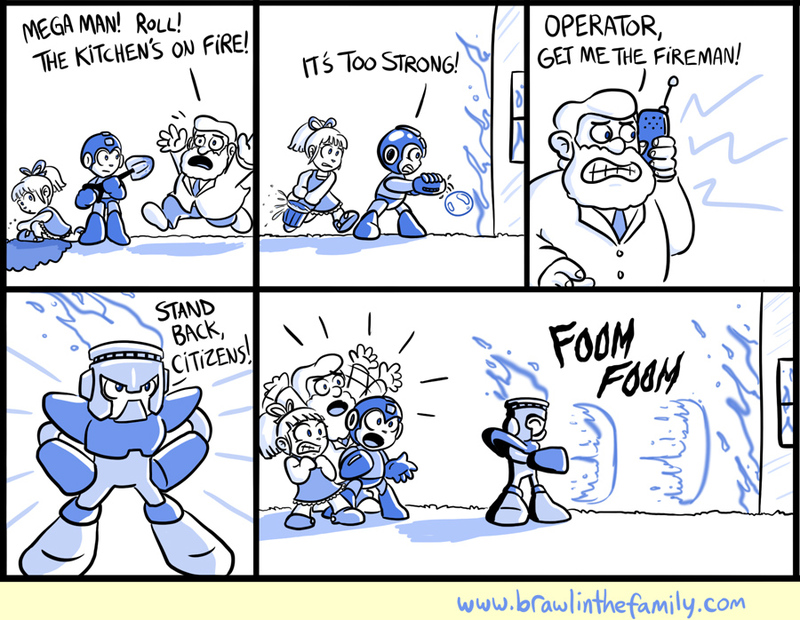 Mega Man returns! If you ask me, the guy is about as close to a Nintendo character as classic third-party gaming icons get. He’s absolutely my most-wanted for the next Smash Bros, and my appreciation for the guy and his series means he can even bust his way into the occasional BitF strip (without the need of April Fools’ shenanigans either!). So, during the last update I was doing a big project outside and I wasn’t able to post very much, so in case you missed it: the official Brawl in the Family book is up for sale in our store! Brawl in the Family: Volume One is a full-color tome with all the lovely amenities that came with the successful Kickstarter: the first 200 strips (bumped up from 150) plus the 35 Waluigi comics, 192 pages (bumped up from around 150, then 170), lovely 80 lb paper throughout, a sturdier binding so that the book is built to last, and of course, the deluxe hardcover edition! Get ’em while they’re hot! Technically, this is a preorder since the books are arriving at my soon-to-be-overstuffed house in less than a week. But Chris is coming down next week and we’ll be sending them out and about the whole time, so you’d be receiving yours within a few weeks!